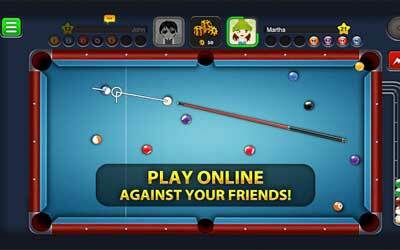 Previous version 8 Ball Pool 3.12.1 apk for Android will help you to downgrade or install older app easily. This is one of the best Sports apps. The graphic of the game is also simple. It looks minimalist without complicated 3D effects. But the unique thing about this game is the multiplayer mode. This feature allows the players to play with their friends or the other players. There is 1 on 1 battle up to 8 player tournament. You can select it as you wish. Play with more friends course will be more fun. And in this game, this is possible. You can do it and enjoy the game even more. The other unique thing about 8 Ball Pool is the customizable cue and table. You can customize all of them and make both of them truly your own. In 1 VS 1 match, there is Pool Coins. By winning the match, you will get coins. You can use these coins to enter the higher match or buy the new items. There is level system too. By playing and winning the match, you can increase your ranking. The high ranking is not just for prestige. It allows you to get access to the exclusive match as well. You do not need a high specification to play this game. It also runs well on Android 2.3.3. Sleigh this holiday season with an exciting new update! We’ve added holiday themed events & a fantastic new Lobby. Update now to join in all the fun! Trouble with connection as I can make a shot, ball goes in, but it says time ran out and I don’t get the shot. Very pleased though and great competition!